WASHINGTON (November 21, 2017) — Existing-home sales increased in October to their strongest pace since earlier this summer, but continual supply shortages led to fewer closings on an annual basis for the second straight month, according to the National Association of Realtors®. Total existing-home sales1, https://www.nar.realtor/existing-home-sales, which are completed transactions that include single-family homes, townhomes, condominiums and co-ops, rose 0.7 percent to a seasonally adjusted annual rate of 5.39 million in September from 5.35 million in August. Last month’s sales pace is 1.5 percent below a year ago and is the second slowest over the past year (behind August). The median existing-home price2 for all housing types in September was $245,100, up 4.2 percent from September 2016 ($235,200). September’s price increase marks the 67th straight month of year-over-year gains. Total housing inventory3 at the end of September rose 1.6 percent to 1.90 million existing homes available for sale, but still remains 6.4 percent lower than a year ago (2.03 million) and has fallen year-over-year for 28 consecutive months. Unsold inventory is at a 4.2-month supply at the current sales pace, which is down from 4.5 months a year ago. 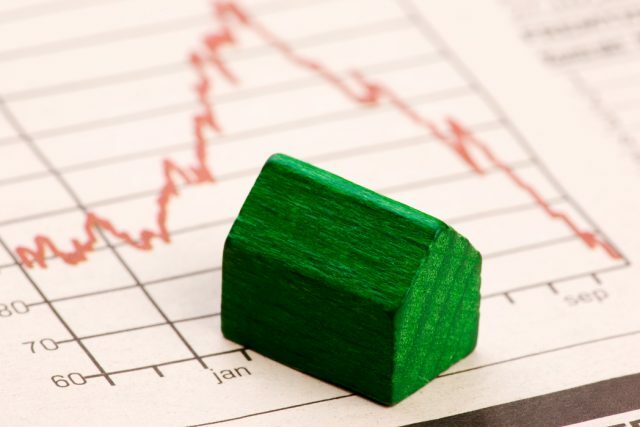 “A continuation of last month’s alleviating price growth, which was the slowest since last December (4.5 percent), would improve affordability conditions and be good news for the would-be buyers who have been held back by higher prices this year,” said Yun. First-time buyers were 29 percent of sales in September, which is down from 31 percent in August, 34 percent a year ago and matches the lowest share since September 2015. NAR’s 2016 Profile of Home Buyers and Sellers – released in late 20164 – revealed that the annual share of first-time buyers was 35 percent. According to Freddie Mac, the average commitment rate(link is external) for a 30-year, conventional, fixed-rate mortgage dipped to 3.81 percent in September from 3.88 percent in August and is the lowest since November 2016 (3.77 percent). The average commitment rate for all of 2016 was 3.65 percent. “Nearly two-thirds of renters currently believe now is a good time to buy a home, but weakening affordability and few choices in their price range have made it really difficult for more aspiring first-time buyers to reach the market,” said Yun. President William E. Brown, a Realtor® from Alamo, California, says Congress should keep in mind the barriers affecting prospective first-time buyers as they move forward with tax reform in the coming months. Properties typically stayed on the market for 34 days in September, which is up from 30 days in August but down from 39 days a year ago. Forty-eight percent of homes sold in September were on the market for less than a month. Inventory data from realtor.com® reveals that the metropolitan statistical areas where listings stayed on the market the shortest amount of time in September were San Francisco-Oakland-Hayward, Calif., 30 days; San Jose-Sunnyvale-Santa Clara, Calif., 32 days; Salt Lake City, Utah, 35 days; and Seattle-Tacoma-Bellevue, Wash., and Vallejo-Fairfield, Calif., both at 36 days. All-cash sales were 20 percent of transactions in September, unchanged from August and down from 21 percent a year ago. Individual investors, who account for many cash sales, purchased 15 percent of homes in September (unchanged from last month and a year ago). Distressed sales5 – foreclosures and short sales – were 4 percent of sales in September, unchanged from last month and a year ago. Three percent of September sales were foreclosures and 1 percent were short sales. Single-family home sales climbed 1.1 percent to a seasonally adjusted annual rate of 4.79 million in September from 4.74 million in August, but are still 1.2 percent under the 4.85 million pace a year ago. The median existing single-family home price was $246,800 in September, up 4.2 percent from September 2016. Existing condominium and co-op sales decreased 1.6 percent to a seasonally adjusted annual rate of 600,000 units in September, and are now 3.2 percent below a year ago. The median existing condo price was $231,300 in September, which is 4.1 percent above a year ago. September existing-home sales in the Northeast were at an annual rate of 720,000 (unchanged from August), and are now 1.4 percent below a year ago. The median price in the Northeast was $274,100, which is 4.8 percent above September 2016. In the Midwest, existing-home sales rose 1.6 percent to an annual rate of 1.30 million in September, but are 1.5 percent below a year ago. The median price in the Midwest was $195,800, up 5.4 percent from a year ago. Existing-home sales in the South slipped 0.9 percent to an annual rate of 2.13 million in September, and are now 2.3 percent lower than a year ago. The median price in the South was $215,100, up 4.6 percent from a year ago. Existing-home sales in the West increased 3.3 percent to an annual rate of 1.24 million in September (unchanged from a year ago). The median price in the West was $362,700, up 5.0 percent from September 2016. NOTE: NAR’s Pending Home Sales Index for September is scheduled for release on October 26, and Existing-Home Sales for October will be released November 21; release times are 10:00 a.m. ET.